One of the greatest joys is hearing feedback from customers every day, who have tried everything and are in search of a natural alternative to conventional pesticides that actually works. 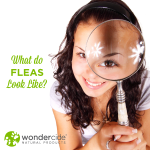 Wondercide Flea & Tick Control for Pets + Home is made with human food-grade ingredients, so it’s safe for use on dogs and cats of all ages and is super effective against non-beneficial insects such as fleas, ticks and mosquitoes. 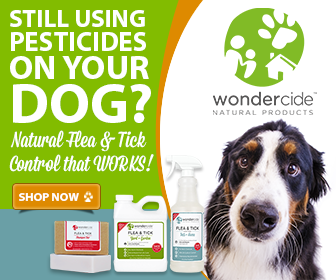 Can I Use Topical Flea and Tick Control With Wondercide Products? 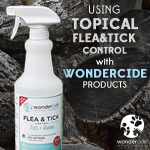 Words simply cannot express my happiness with Wondercide Flea and Tick products! They are a much safer alternative from household pesticides which are toxic especially to cats. 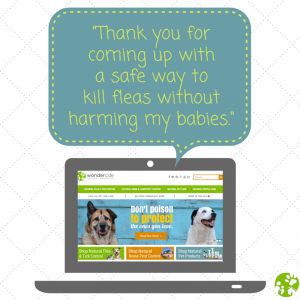 Protection for pet parents and their fur babies are a small and inexpensive price to pay! My kitty and myself are happy campers with this product that is protecting us from literally being eaten alive by fleas, mosquitoes, and ticks which are already making their presence known inside and outside of our homes. Because of sharing this information with my eldest son, he has already become a customer with Wondercide since he lives in a warmer climate year around. Thank you so much for your support and kind words!